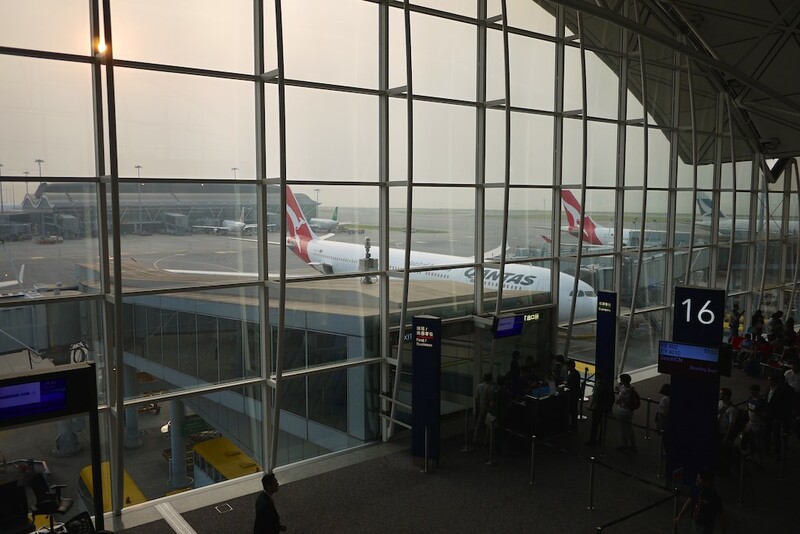 After a couple of days in Hong Kong, I was heading back to Sydney on Qantas, and had my first opportunity to sample the relatively new Qantas Hong Kong lounge. 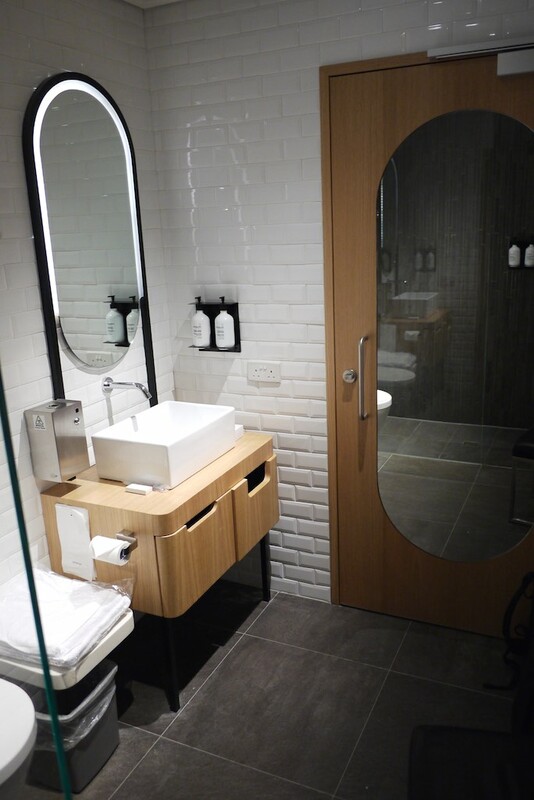 I’ve spent a fair bit of time in Cathay Pacific’s The Wing (Business and First Class) and The Cabin lounges, which are all excellent, and a cut above the old Qantas Lounge in Hong Kong. 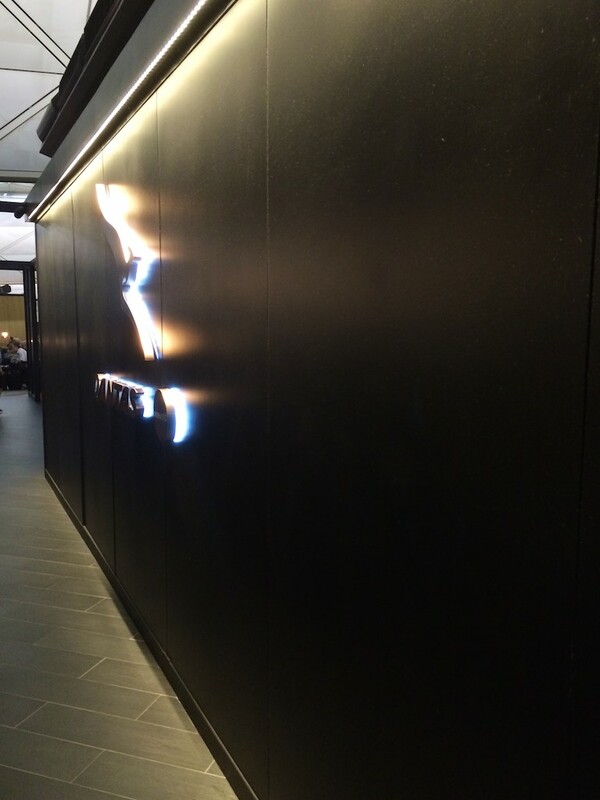 Given the newness (and difference in ‘concept’) of Qantas’ lounge I was keen to check it out. Qantas operate a mixed First & Business lounge to service their daily flights to Sydney, Brisbane and Melbourne, with some table-service dining options and manned bar – and to be honest, the lounge is a massive improvement over the Sydney and Melbourne International Business Class lounges which would get more traffic. Passengers eligible for access include Qantas and Emirates First and Business class passengers, who can bring one guest, and must be taking a Qantas or Emirates flight for their next flight on that day. Jetstar Business Max Fare passengers can also have access if they are travelling onwards on a Jetstar Airways flight on a Business Max fare, but no guests are allowed. Platinum One Frequent Flyers, Platinum Frequent Flyers, Gold Frequent Flyers, Qantas Club Members, and those with a Qantas Club Annual Guest Card are all permitted, and can invite a guest as long as they are traveling on the same flight. 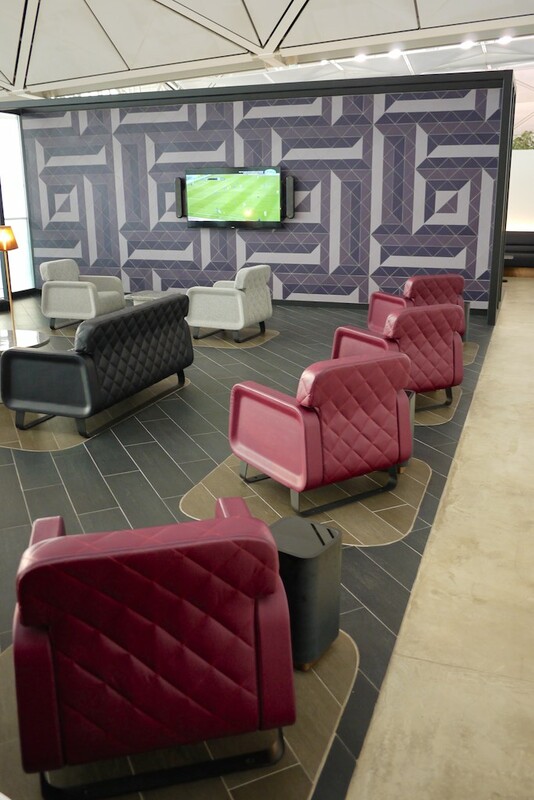 oneworld Emerald, Sapphire, First, and Business customers can also have access to the lounge, providing their next flight is a oneworld operated flight. 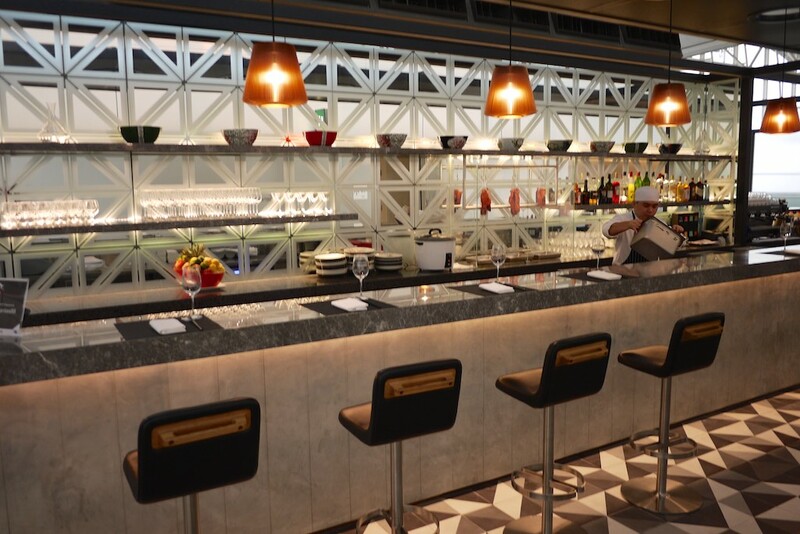 The lounge features food inspired by Neil Perry’s Spice Temple, along with signature cocktails, yum cha trolleys, and many other dishes from Hong Kong. 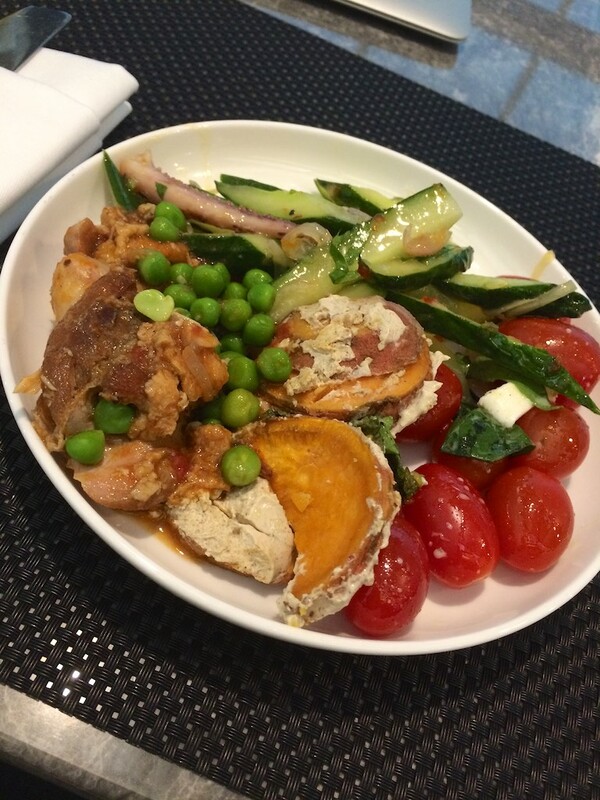 The Qantas Hong Kong lounge is located on level 7, above Gate 15, and is open from 9.30am to 11.30pm. 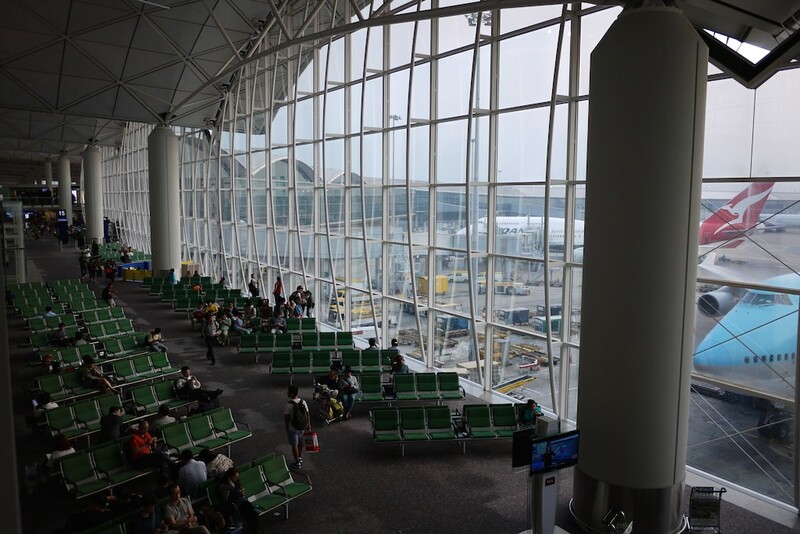 The lounge is immediately after the right-most Hong Kong passport control – come out and turn right, and you’ll see it well-signed. 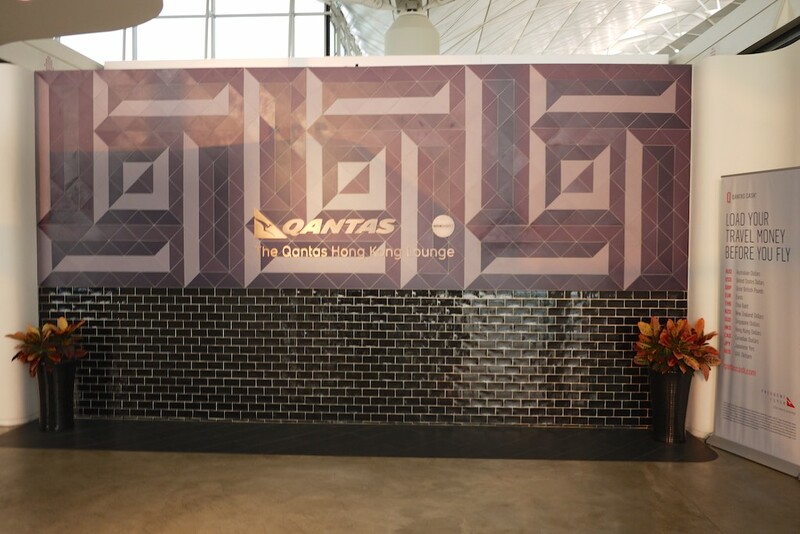 The entry has the usual new Qantas aesthetic, and I’m a big fan of the detailed tiling work that is used to distinguish the Hong Kong lounge from others in the Qantas network. 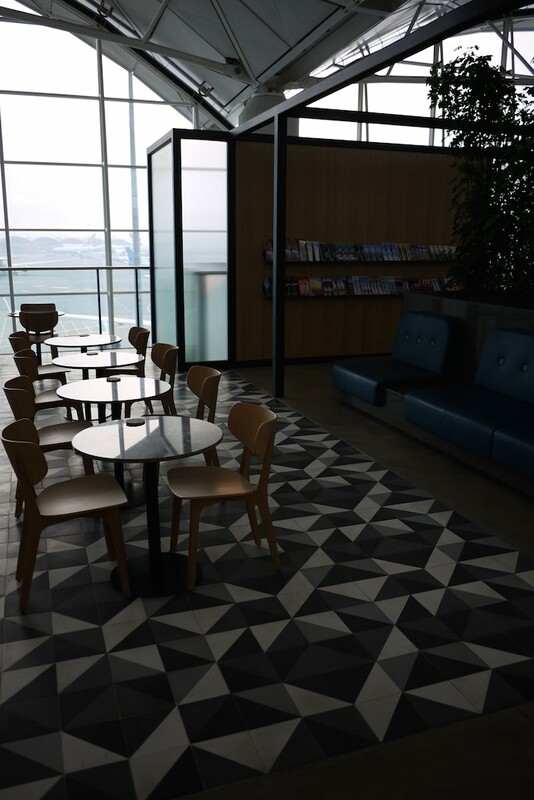 The lounge is on the upper floor of the terminal, and not enclosed so you can sit looking out over the tarmac and other passengers on the lower floors. This also means noise floats up from outside the lounge. 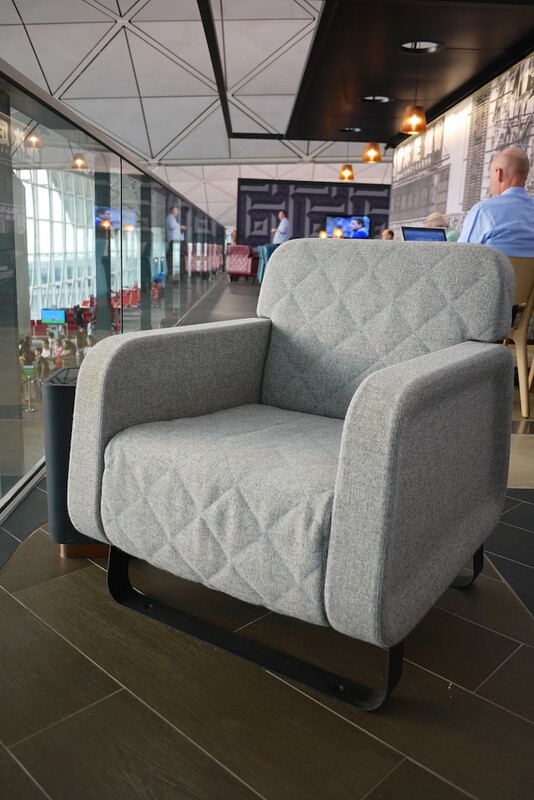 It’s possible to pick up a comfy seat and look out over the evening goings on at the airport. All the way toward the rear of the lounge are some seating areas with TV’s and a space that’s a bit more conducive for kids. As you walk back toward the dining area and the entry, there are a number of large and medium size dining tables. There’s also a number of paired tables too. The bar is the closest amenity to the entry, and staffed with friendly bartenders (and in my case, some too-friendly passengers too). The buffet is where you’ll want to grab the majority of your food from, but there’s also a limited ‘cook-to-order’ menu as well which gives the feel of a more formal sit down meal, not just the buffet. There’s plenty of seating to accommodate those wanting to dine. 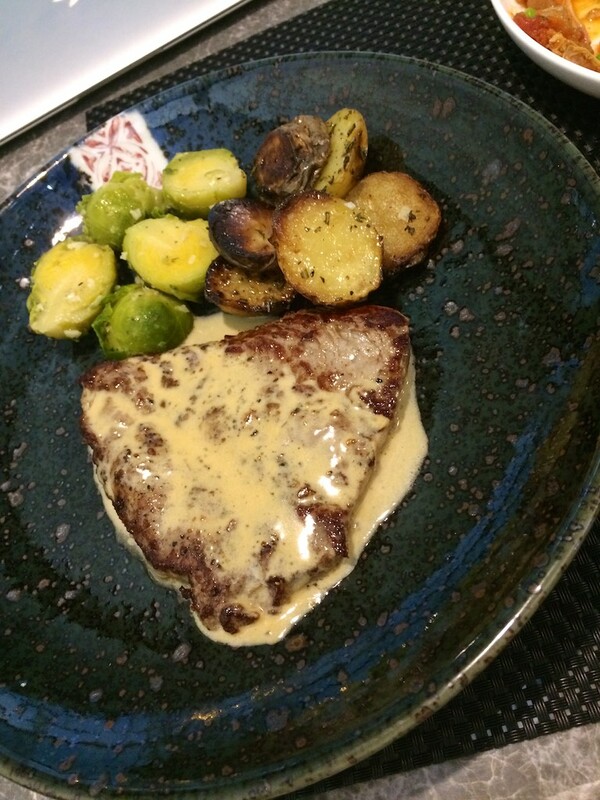 I ordered a minute steak after chowing down my buffet food, and it was excellent. 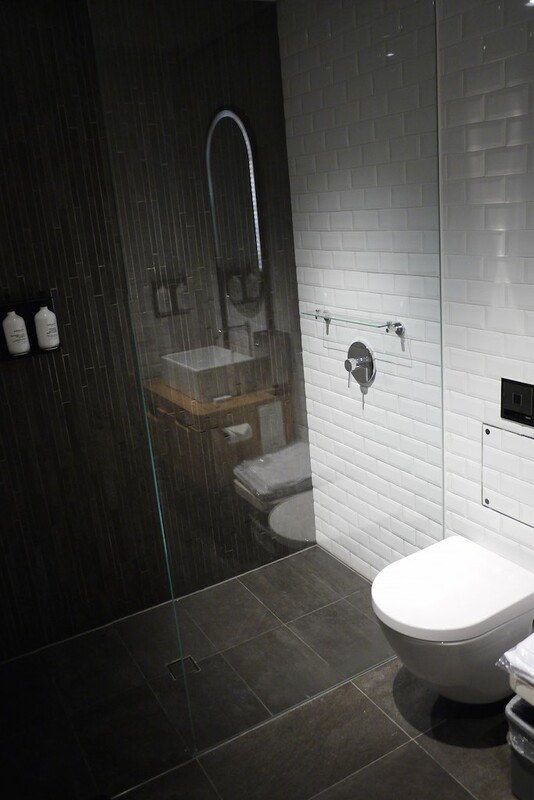 I also had a quick shower while I was there – here are the bathrooms, which are perfectly adequate. There was also a range of open seating spaces, which seemed like a redundant use of the space and could have been better thought through. 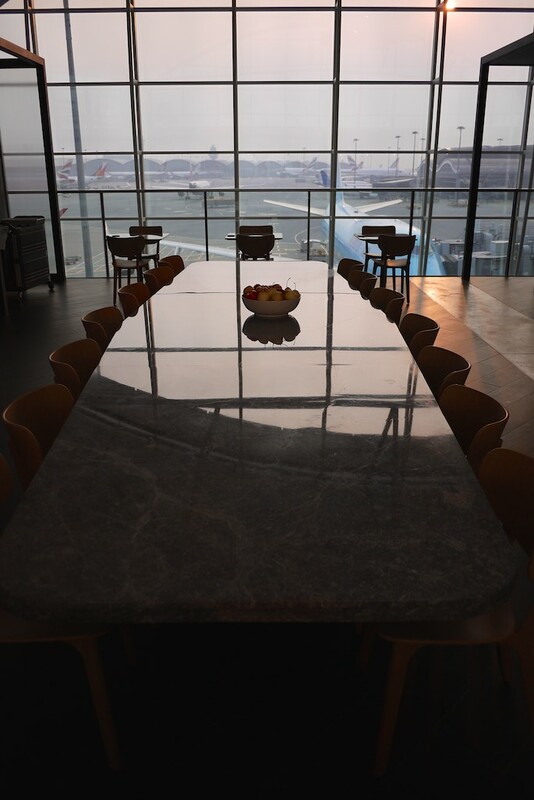 I found the new Qantas Hong Kong lounge a much needed revitalisation from the old lounge, with my favourite touches the improved food on offer as well as the increased amount of space. 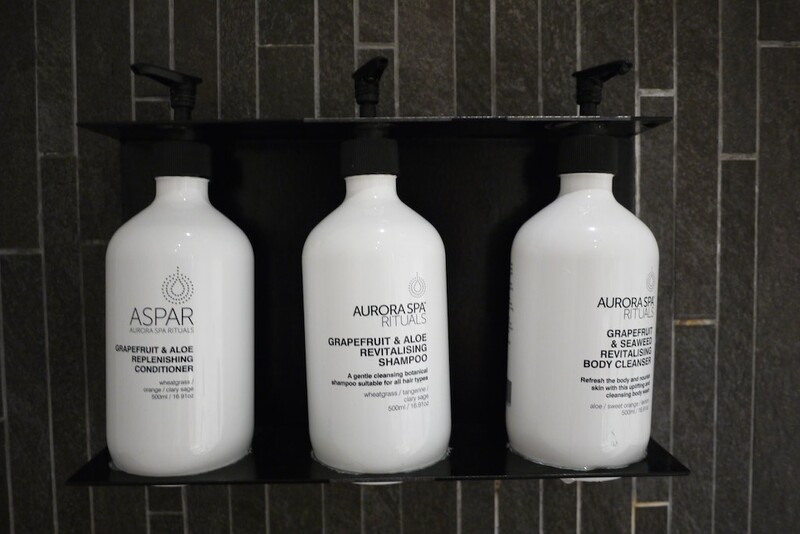 The aesthetics and feel of the bar was especially nice, and the staff were all pro-active and friendly. 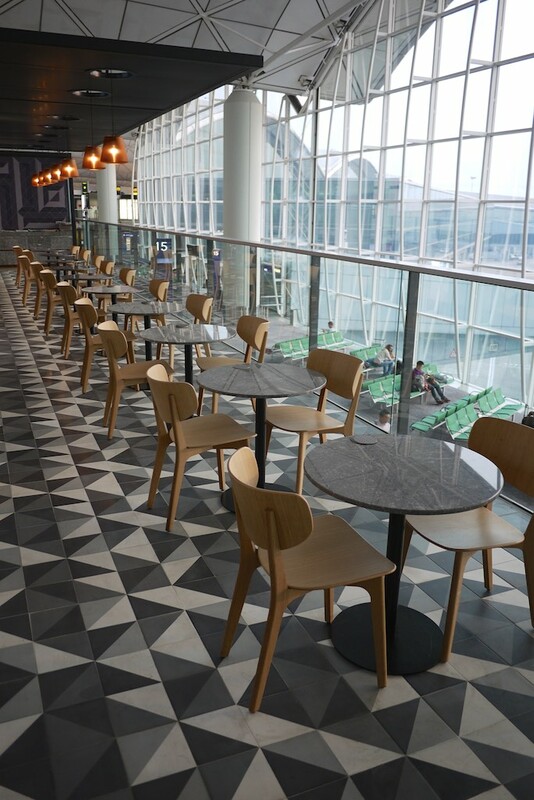 I wasn’t such a fan of the dining space and some of the other seating configurations in the lounge which didn’t seem to gel particularly well to me. I didn’t ever find a spot in the lounge where I felt comfortable decamping to and just sticking in to get some work done, and moved around a few different spaces while I was there, never quite working out where I wanted to be. This was probably a function of me eating dinner, showering and spending mixed purpose time in the lounge, but I still felt like there were some different seating option needed beyond the swathes of paired dining tables and single seats. A minor criticism of an other wise nice space to spend time in. 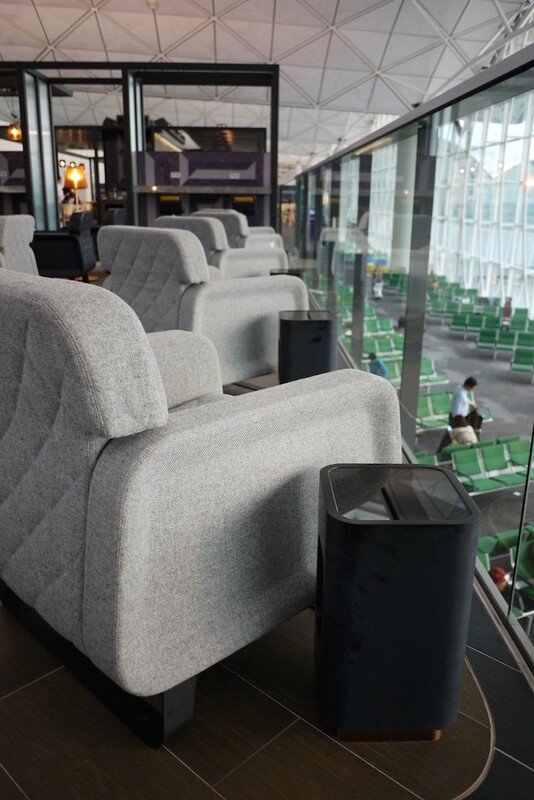 The new Hong Kong and Singapore lounges also keenly highlight how Qantas needs to invest in their domestic Business Class lounges to bring them up to the same level – or maybe this isn’t a priority for them given their more captive audience at home. Either way, there’s now definitely no need to avoid the Qantas lounge in favour of the Cathay Pacific lounges (if you have oneworld status giving you access to either), or to be stuck in the previously dark and dingy underground lair that was the old Qantas Hong Kong lounge. You briefly comment on the fact that there is no work area in the lounge. I feel you should expand on this more and be less diplomatic. It is a major flaw of any lounge to have no area to do work. The bulk of people passing through airport lounges are businessmen. When I asked where the work area was the staff were embarrassed and pointed to the large stone table in your picture above in the eating area as the only area in the lounge where a laptop can be setup to do work with people passing constantly. Thanks for adding your feedback, and you’re probably right. 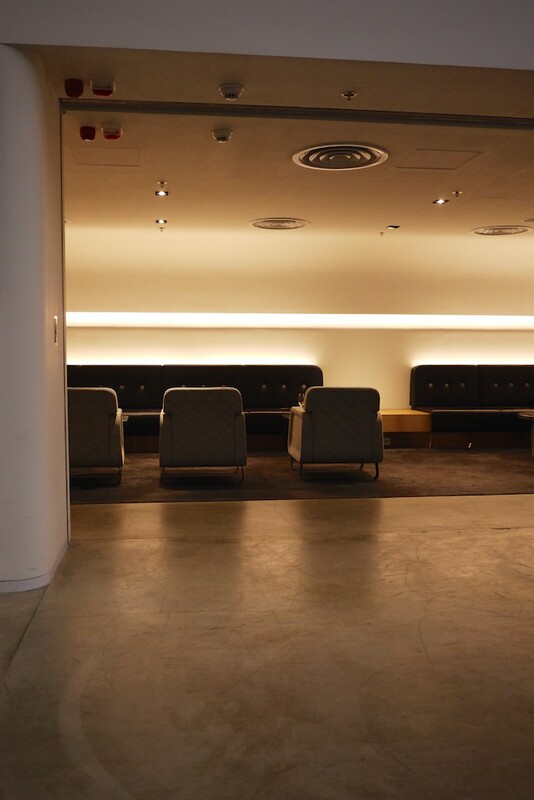 It’s been a while since I was in Hong Kong but yes, I do remember the way the space was configured was too relaxed. Swapping out some furniture would be an easy fix. Point Hacks Community update – competition winners!